It worked so well the first time we are going to do it again. Mariner Youth Soccer and Old Rochester United are pleased to work together to bring an April Vacation Skills Academy to the South Coast. It will run from Monday April 15th to Thursday, April 18th from 9am - Noon and the cost is $125. A full day option with a lunch provided by Tabor Academy will be available for $200. The full day clinic will run from 9am - 3pm. The training will be done by professional coaches and will be held at the Field House at Tabor Academy at 232 Front St, Marion, MA 02738. A camp t-shirt will be provided. All players will be required to have proper attire, including shin guards, and indoor soccer shoes/sneakers as well as outdoor cleats. 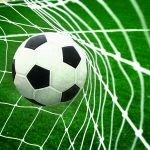 The professional coaches will be teaching soccer at Tabor Academy. With a focus on quick passing, movement and superior foot skills, that will translate nicely when the players are on the field this spring.